By Ewen Speed, School of Health and Human Sciences at the University of Essex. The government has set itself an ambitious set of targets for a fundamental change to the principles of entitlement and support in the provision of social welfare. The introduction of the Universal Credit scheme is a central part of this process, a scheme to reward strivers and punish scroungers. The universal credit (UC) proposals involve amalgamating six pre-existing means-tested benefit payments and tax credits into one monthly payment. This new payment is supposedly designed to simplify an overly complex, bureaucratic system of social welfare. But the problem with this new approach is that it individualises the need for welfare. It is also consciously blind to the wider social, political and economic inequalities that really must be addressed if we are to truly begin to tackle these social (not individual) problems. Talk of scroungers and strivers and plans to incentivise those on benefits to find work will only further marginalise and disenfranchise those already on the periphery. Simplification of the complex UK system is roundly endorsed as a good thing; however the actual detail of this process of simplification is far more contested and problematic. In late 2012, the Chartered Institute of Housing reported that under the Universal Credit (UC) proposals, 400,000 of the country’s poorest families would have less income in 2015 than they had in 2010. Similarly, Disability Rights UK, in a report entitled Holes in the Safety Net, reported that 116,000 disabled people who work could lose £40 per week. The Department of Work and Pensions (DWP) refutes both these reports, saying there will be no losers and indeed that the reforms will lift 850,000 families out of poverty. So which is it? It’s hard to say at this point. To state anything definitively would be mere conjecture, but given the government’s current activities in other spheres of the welfare state, I am not optimistic. What is more definite is the explicit move, by the government to abandon the principle of universal entitlement in favour of a system which places conditions on the receipt of benefits. For example, consider the pending changes to disability benefit marked by the introduction of Personal Independence Payments (PIP). A number of disability campaign groups have expressed reservations about PIP. In addressing the PIP reforms, the group We Are Spartacus (WAS) point to changes in the “motability scheme’ that state in order to qualify for the scheme, claimants need to be unable to walk more than 20 metres, whereas in the consultation it was 50 metres. In all likelihood, far more people will be able to walk 20 metres than 50 metres. WAS argues this will result in people with “serious musculo-skeletal conditions, serious heart conditions, respiratory difficulties, cerebral palsy, neurological conditions, such as MS and ME and many, many more will no longer benefit from the scheme”, because they can walk a minimum of 21 metres. New conditions have also been introduced in the ATOS-administered fitness to work tests. That 38 per cent of the results of these tests have been overturned when taken to appeal suggests some problems in the system. The so-called bedroom tax marks the implementation of similar conditions aimed at people in receipt of housing benefit and living in social housing. The government line is that these reforms will help contain the overall cost of housing benefit by ending the under-occupation of social housing. In this instance, receipt of state support for somewhere to live is conditional upon you having no more bedrooms than you can actually use. Fair enough, you might say but this does not take account of the vagaries of local housing stock. These reforms will mean that nationally 600,000 one-bedroom flats will be needed to accommodate under-occupiers, but the national housing stock has only 300,000 such properties, and these are not always in the same areas. The net effect is the breakdown of extended family networks, or of people on lower levels of income taking a further reduction on that income in order to stay in their current house. And finally, the workfare policy which has been declared unlawful, (though only on a technicality). 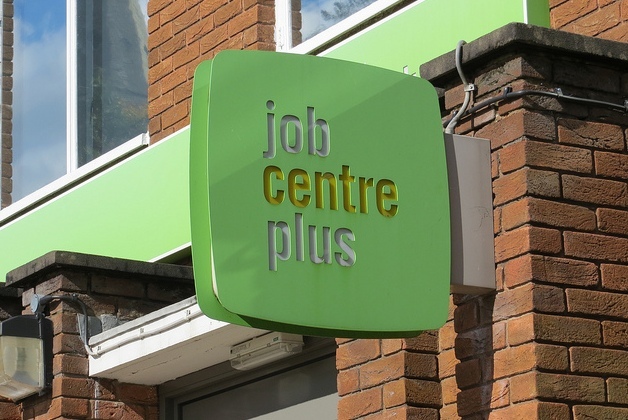 Under this scheme, people were required to ‘work for their benefits’, by undertaking unpaid placements with companies such as Tesco, Poundland, Argos, and Superdrug. The fact that it is felt necessary to compel claimants to work for nothing underlines the dominant government view: that welfare claimants are skivers. The government’s aim is to make living on welfare as difficult as is politically possible. This is an approach that does nothing to address the inequities experienced by those people already on the periphery and will actually make their day-to-day lives harder. Ewen Speed is a sociologist in the School of Health and Human Sciences at the University of Essex, and a Managing Editor of the Cost of Living blog. …the group We Are Spartacus (WAS) point to changes to the criteria for the enhanced (higher) mobility component which determines eligibility to the “Motability scheme’, that state in order to qualify for the enhanced mobility component, claimants need to be unable to walk more than 20 metres, whereas in the consultation it was 50 metres. Jane, thanks for this point of clarification.